As I write this, the ongoing shutdown of the U.S federal government, sparked by a budget impasse over border-wall spending, is in its 26th day. It is the longest government shutdown in history. You can choose your fallout, in terms of resulting (or impending) damage. Furloughed federal workers and contractors have gone without one paycheck and are well on their way to a second lapse in pay. Today it was announced that members of the Coast Guard will not be getting paid, making this the first shutdown that has impacted service members in that way. Other vital job descriptions, including federal law enforcement personnel, air-traffic and air-safety workers, and even the president’s own bodyguards, are being forced to stay on the job, without pay. It’s likely that at the end of this shutdown, as has been customary in the past, congress will vote to provide back pay for these workers, but there’s no guarantee, and of course that’s little help with expenses and contingencies they’re facing right now. And if the shuttering goes on much longer, say more than another two or so weeks, looming federal income-tax processing—and refunds—will undoubtedly be delayed. That’s when this standoff will come home for most of us. And that’s a shame, because there’s harm being done right now that, while invisible to the vast majority of Americans, is destroying much of the precious heritage we own in common. National Parks Traveler, among other outlets, is covering this story, and it’s a distressing one indeed. With National Parks workers and rangers for the most part furloughed (although not, interestingly enough, at the clock tower attached to the Trump Hotel on the Washington National Mall), park visitors are unchecked as to their behavior and impact upon the landscape. The damage so far is gut-churning—in addition to overflowing trash bins (not to mention overflowing toilets), there are numerous reports of illegal off-roading, hiking, and four-wheeling in prohibited, biologically sensitive areas, graffiti damage, and even plundering of protected relics and artifacts in normally restricted areas like New Mexico’s Chaco Canyon. 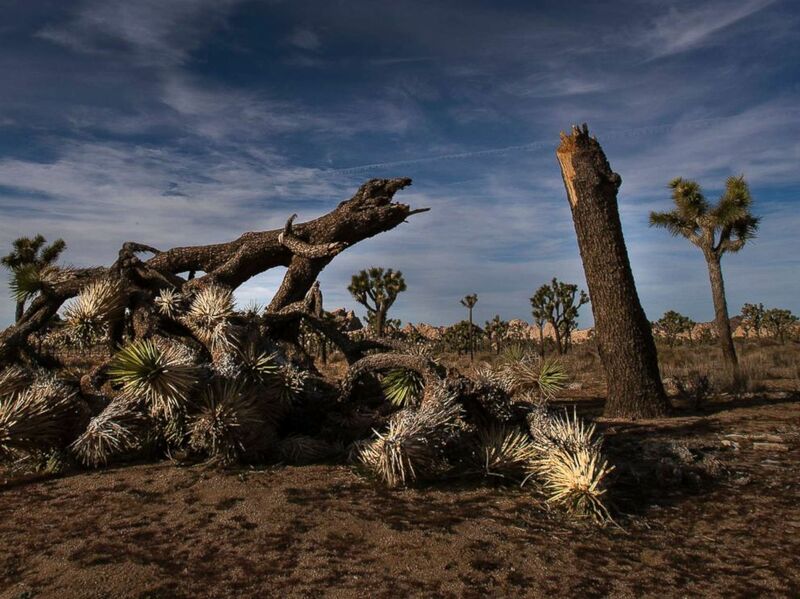 In California, at the Joshua Tree National Park, several of the namesake endangered yuccas have actually been cut down—in some cases apparently to make illegal roads, in others, seemingly, for simple, mindless vandalism. It’s not just heartbreaking, it’s also commentary. It belies many of the claims of libertarianism—those who say that rules and regulations are the diktats of the nanny state should look around, and finally admit that not a few of their fellow citizens are in dire need of nannies. This shutdown is a national disgrace, and it disgraces us all. 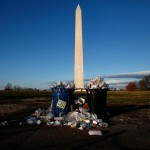 It needs to end now, although in truth its “end,” in terms of its repair and cleanup, won’t be seen for years, if ever. May the administration and the congress get on with their jobs, get the government back to work, so we can get started fixing this mess. 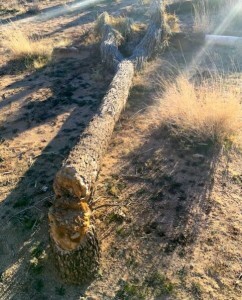 This entry was posted in New Post and tagged Chaco Canyon, Government shutdown, Joshua Tree, National Park. Bookmark the permalink.